Organization never looked better. Simply toss your essentials in this duo at the end of the day - you can keep your smaller needs like keys or a watch in the Square Tray, and the bigger things like a wallet or phone in the Rectangle Tray. 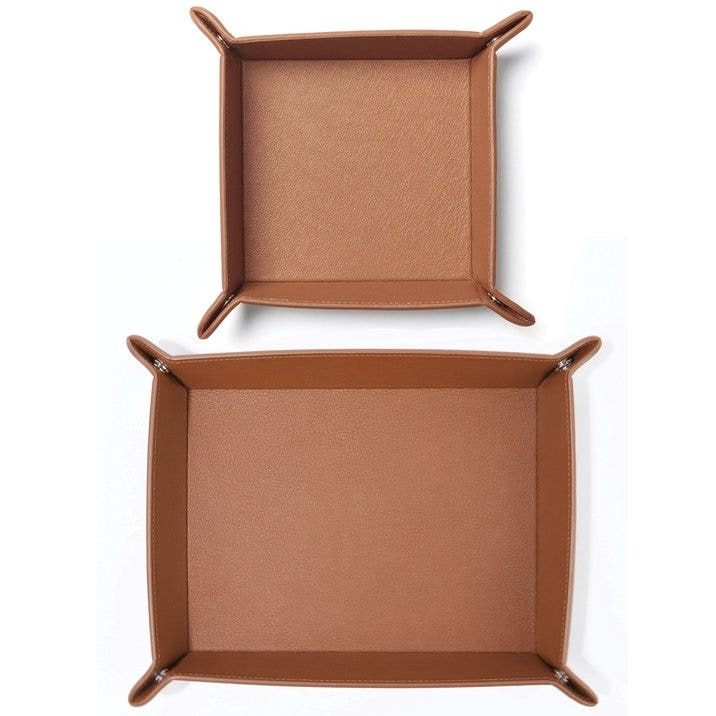 Whether you use them together or split them between different rooms, these beautiful trays will keep your go-to items in one place.